Thank you! Thank you! 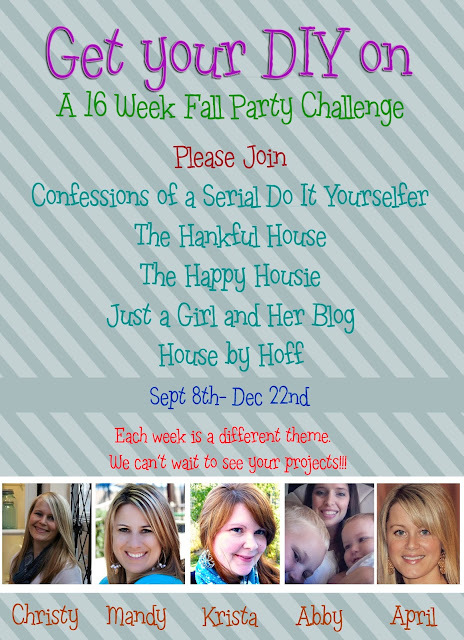 Thank you for making our first week a success! 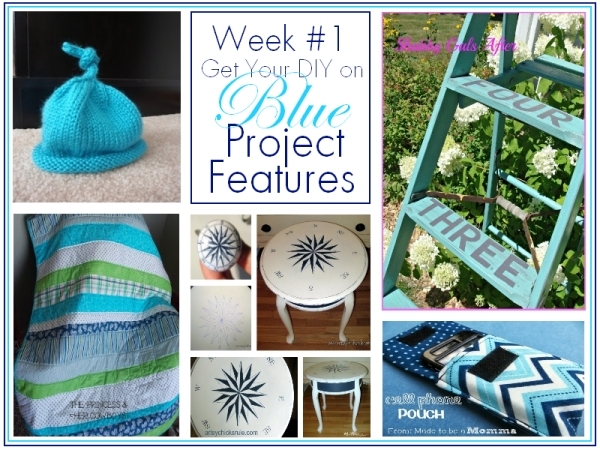 We are so grateful for you linking up all your fantastic “blue” projects! It was awesome to see so many familiar faces and meet many new faces. 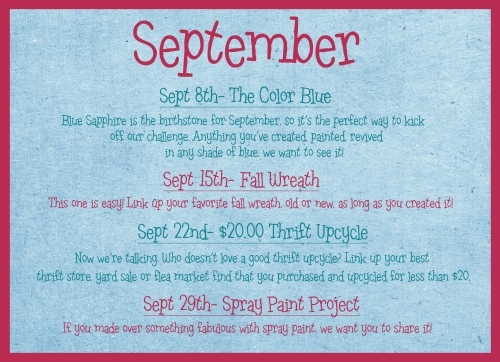 We hope you’re all having fun with these themes so far and hope you’ll continue to share with us and keep us inspired! On that note, the party was filled with so many amazing “blue” projects. I had the hardest time ever narrowing my favorites down to just five! Don’t forget to check my co-hosts’ blogs to see their features too! 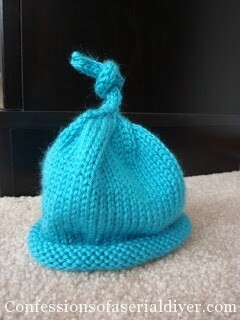 Danielle at Peanut Life Adventures shared this adorable umbilical cord hat. How stinkin’ cute is this? Anyone that has the patience to knit gets an A+ in my book! Thanks for sharing, Danielle! I know this is another baby project, but I couldn’t resist and this method could be used for a big people quilt, too. 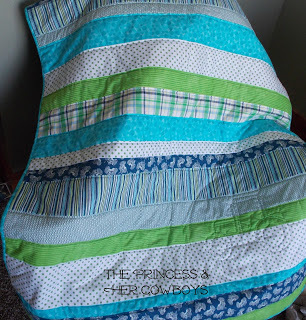 Britney from A Princess and her Cowboys made this adorable quilt for her baby boy. She makes it look SEW easy! 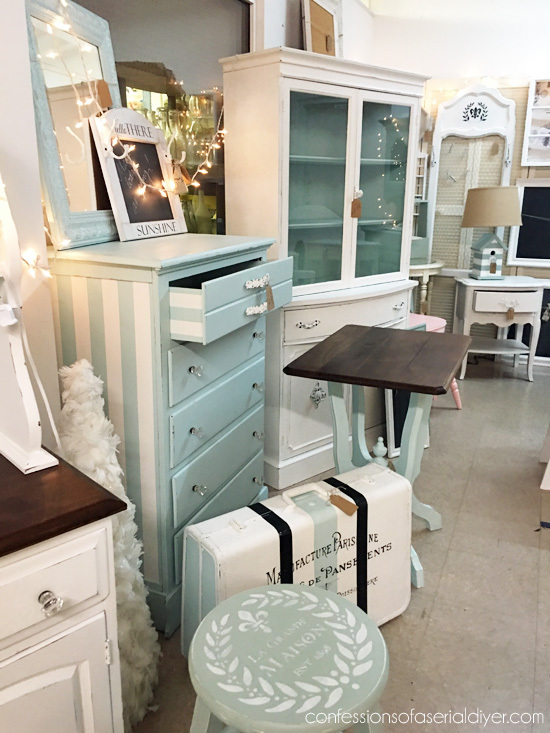 Nancy from Artsy Chicks Rule shared this gorgeous Compass Rose table she transformed from a boring thrift store find. 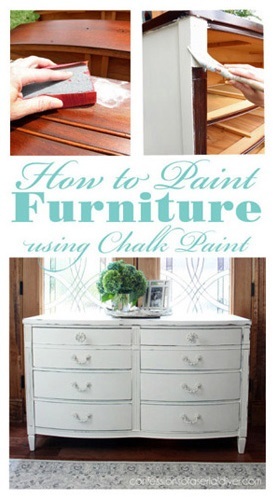 Never underestimate the power of paint! 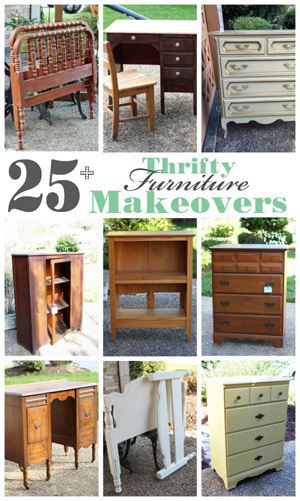 I just love it and she shares the complete how-to! 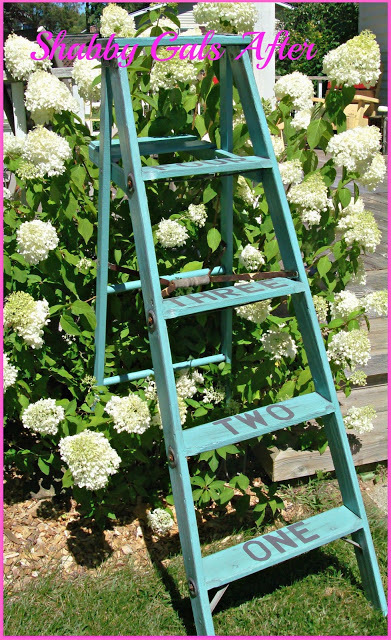 Dianne from Shabby Gals shared this fun Ladder of Numbers. I absolutley love the colors and I love how she left the weathered metal parts unpainted! I think I need this for my garden! 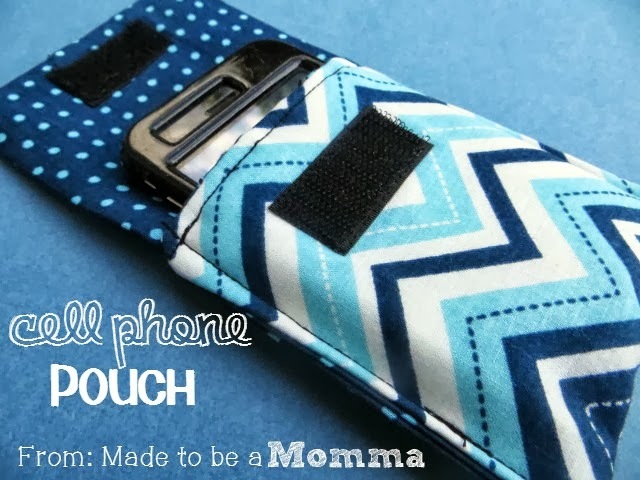 Finally, I chose this super cute cell phone pouch shared by Katie at Made to be a Momma. If you could only see the bottom of my purse; it’s a crumbly mess of goldfish crackers, teddy grahams, and sticky stray fruit snacks. My phone would really appreciate a swanky little case like this to keep it safe and clean! 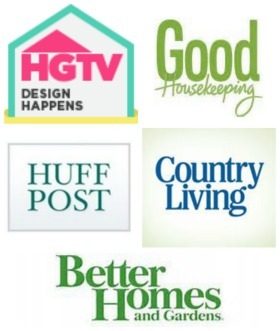 Make sure you grab your feature button and check our Pinterest Group Board to see your projects. Here is the button to include in your posts…..
Okay…thanks for twisting my arm into being crafty. Thank you so much for hosting this great party! So many creative people and so much inspiration. 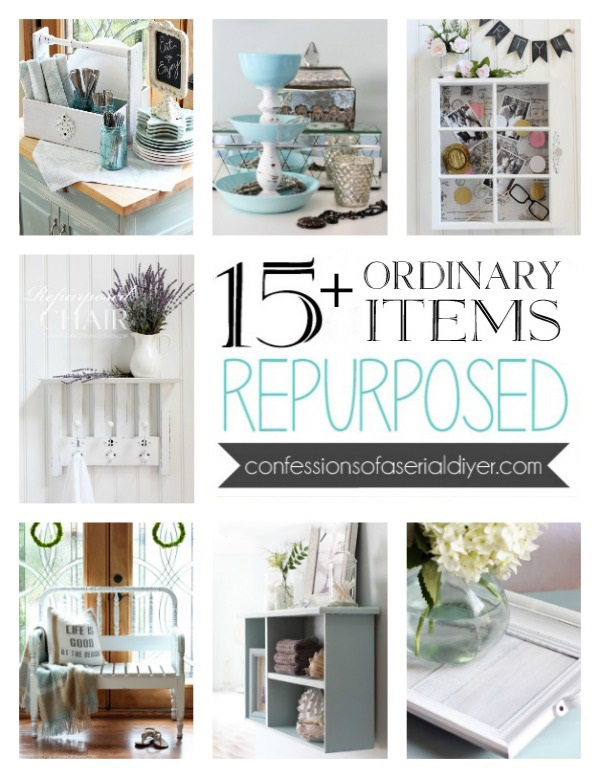 Thanks so much for choosing my Compass Table as one of your picks this week Christy! 🙂 So excited! 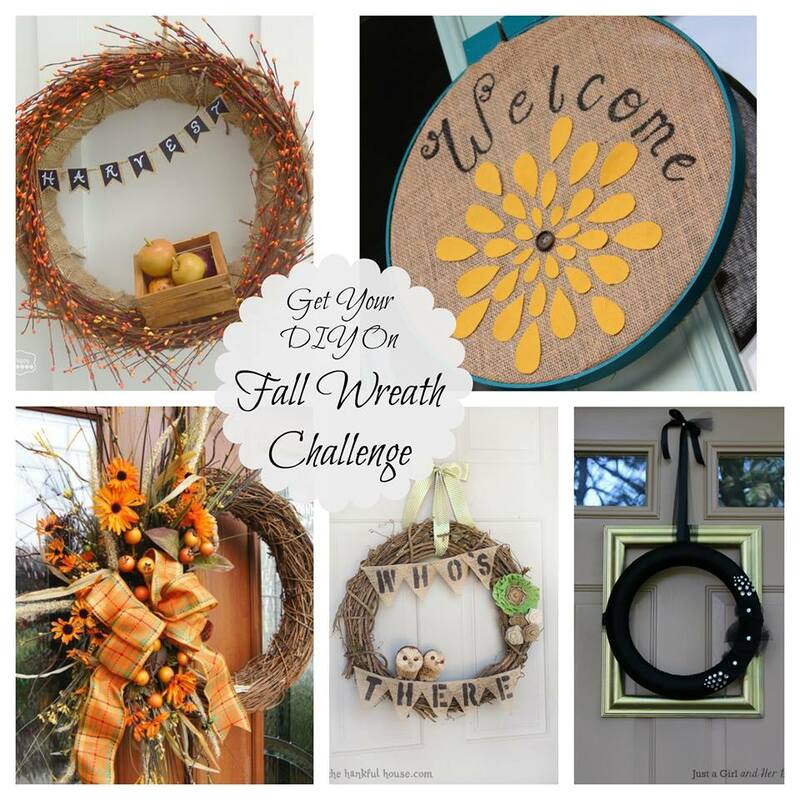 Love looking through all the fabulous wreaths in tonight’s party…makes me want to make one…..
Love that compass table. Great transformation! Hi Christy, thanks so much to you and the ladies for hosting the party! Have a happy Monday! Thanks for visiting me and letting me know about your fun party! lots of beautiful wreaths here. Thanks for hosting. thank you so much for hosting Christy !